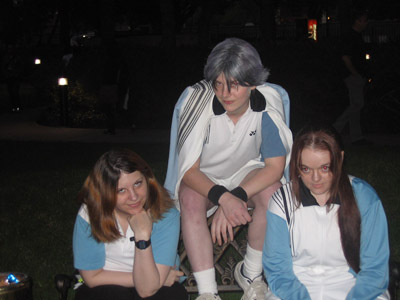 Costume for Atobe Keigo from the Japanese anime/manga Tennis no Oujisama/Prince of Tennis. 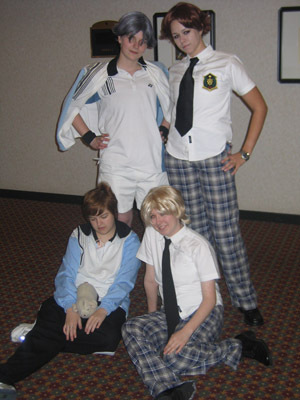 Photos taken at the Westin Hotel in Millbrae, California during Yaoicon 2006. 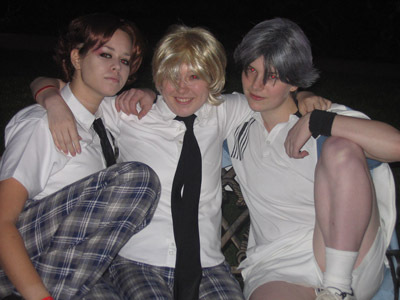 Also featured are Keiran as Atobe (School Uniform Version), Brynn as Akutagawa Jirou (School Uniform version), Trey as Taki Haginosuke, and Tabby as Shishido Ryou.